FL Price is consulting and training firm for the family entertainment and leisure industries. Frank Price personally challenges new starts; modernizations and current owners with over 25 years’ experience, to deliver high level, quality experiences. He specializes in providing the tools to build the perfect staff, including placement by personality temperament type and the training systems that make your people … an attraction. Frank designs and customizes key revenue center processes, including birthday parties and group events, as well as the development of a high performing experience culture. He develops the systems and processes that mold your business beyond the design and build phase, by redefining the way you do business. 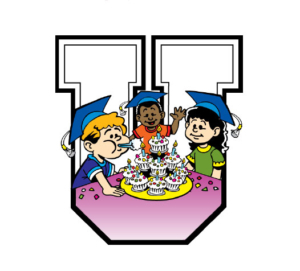 Birthday University in 2000 to answer the need to produce high quality, profitable commercial birthday parties for today’s sophisticated market. Birthday University continues to tour in its 18th successful year, teaching thousand of businesses like Disney, Hershey Park, Bam, Hollywood Park, Andrer Thrill Park, San Diego Ice Rink, Roseville Skate Town, The Ontario Science Center, The Florida Aquarium, Hero’s and many others the business of remarkable and profitable birthday parties. 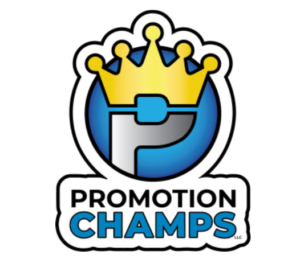 At Promotion Champs, we take the hassle out of creating, organizing, scheduling, developing and producing your company’s brand, marketing, promotions and recruiting materials. We devise everything from fantastic well thought-out brands and promotions, in all the formats that you require, to the website that you have always dreamed of having for your business. We have expertise in providing marketing and recruiting materials for the family entertainment center industry.